Out of Barbados and the University of Hull comes a study showing that newer recreational divers vastly prefer to dive on shipwrecks rather than in natural reef areas. That is good to know because if Barbados sinks some ships and airplanes in a few spots off the coast, we’d be able to attract more tourists to the island and at the same time protect the natural reefs through concentrating less-experienced divers where they can do the least harm to the natural environment. Every leader in tourism and business should read this new study. Our Tourism Minister should make up his mind to do something, and get a project going now. Let’s find an old warship or small freighter and see what the cost will be to transport it here, get it ready and then have a big party to sink it. If we’d have devoted our money to establishing long-term quality tourist attractions instead of spending a million dollars to have Rihanna writhe around half naked, we might enjoy some lasting benefits instead of the BTA’s preferred ‘quick hit’ for cash that is good for a week or two and then fades. Brazil is hosting the 2014 World Cup and the Olympics in 2016, but so far all the world has seen is video of massive protests and shootouts between paramilitary police and drug gangs. With this latest horrific incident of a double murder at an amateur football match, Olympic and World Cup personnel must be wondering what they have got themselves into. Let’s skip the Olympics and World Cup and spend a nice quiet vacation in Barbados instead, shall we dear? There were absolutely horrific scenes at an amateur football match in Brazil when spectators lynched a referee and put his head on a stake after he had killed a player. Making the rounds, in case you have not seen it yet, is the Integrity Committee Report of Investigation as presented to the Executive Committee of CONCACAF – The Confederation of North, Central American and Caribbean Association Football. 1) The conclusions of the Committee are based on “a balance of probabilities”. Yet the authors say that in determining the facts “it applied various legal standards…”. The obvious question is what legal standards? In criminal law the standard of proof is beyond reasonable doubt! 2) Although Jack tells the Committee bluntly to go jump in the lake, he ain’t co-operatin’, Blazer’s lawyers tell the Committee that Blazer has issues with FIFA and that Blazer is not prepared only to discuss the issues that FIFA wants, but he wants to discuss everything. The Committee ignores this and says that Blazer and Warner wouldn’t co-operate at all! This is not quite true. 3) The Committee appears to have reached its conclusions on the basis of unsworn statements and documents which were not introduced to the Committee via sworn statements. In other words, the conclusions of the Committee are not necessarily based on justiciable evidence. (c) The Committee saw it but did not understand it. In other words, the Committee is incompetent. Choose any one or more of the above and you realise that problems arise with the whole report. I raise these points not by way of defence for Jack, but because it is absolutely clear to me that there is a lot more … a whole lot more … to this story than we are being told. One thing is clear: this ain’t over by a loooonnnngggggg shot!! I predict that the Simmons Committee will end up with quite a lot of mud not only being thrown at it but also sticking to it!! 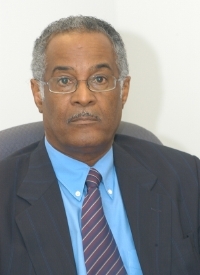 Barbados Free Press receives DMCA Takedown notice for ALL FIFA Jack Warner bribery articles! ‘Somebody’ doesn’t like BFP’s Jack Warner bribery articles. Who could that be? Okay folks, it looks like someone is concerned about our articles about Jack Warner’s FIFA bribery allegations. I wonder who could have lodged a complaint with WordPress? Our Jack Warner articles are 99% original journalism with referrals to other news sources. We did reprint a graphic though. Perhaps that is THE EXCUSE for ‘someone’ to complain. We’ll look at it in the morning, but right now I think we’ll reprint our original articles and leave out the graphic from the newspapers. OH……… we’re going to reprint all our readers’ comments too! Yup. We’ll obey the law. Right to the letter. There is no word on how Jaymie Michelle Mart died. 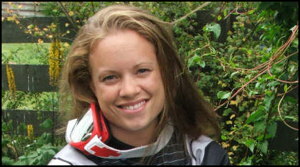 Jaymie held dual UK and Bajan citizenship through her mum, and she raced wearing Barbados colours from 2004 through 2006. Our thoughts and prayers are with Jaymie’s family and friends; especially mother Paula, father David, brother Adam and John, Emma and Rachel Shepley. Ian Bourne finalist in US Embassy photo contest – You can vote him to Victory! Oh the excitement! Ian Bourne’s photo Holder’s Hill Polo Match has been chosen as one of three finalists in the US Embassy’s SportShot contest.